Gathered in the midst of my decluttering process. I still have several lurking around. They are the reason for my namesake. I used to wear one almost every day. 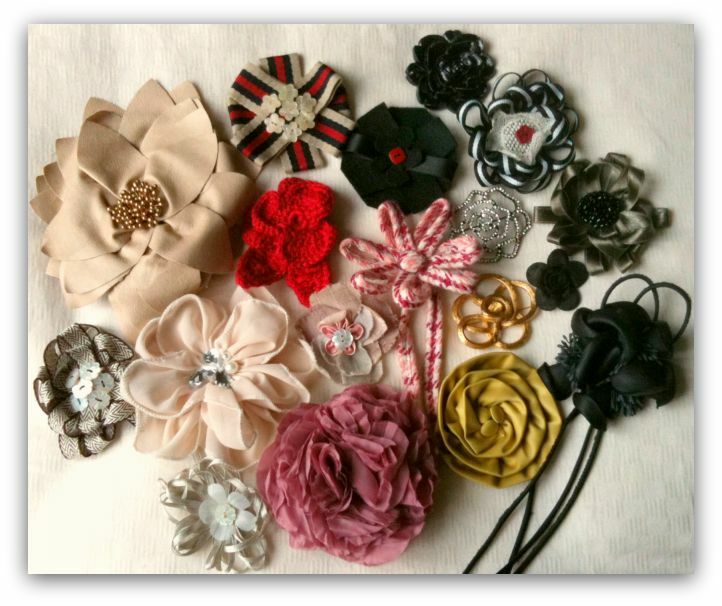 At least Corsage sounds better than Brooch or Flower Pin! You've got a lovely collection there! You carry them so well. oh now i know where corsage come from lor... don't ton down. continue it! Aww thanks babe! I've been gifted with pretty ones! So nice! Teach me how to make!! they're nice :) you hardly wear them nowadays! I guess I can start again now that Bubbles knows not to tug at them!